I have recently been experimenting with integral hip panniers (my latest design had pockets in the panniers that could fit a key and a credit card in them), and a visit to the Thames flood barrier in London for my College course made me think about trying to create more of a rounded dome over the hips. As a pattern cutter I am all about shape and silhouette - I love the simplicity of line (or curves) - the perfect domed structures that house the mechanics for lifting and lowering the flood barriers inspired me to create something pure. 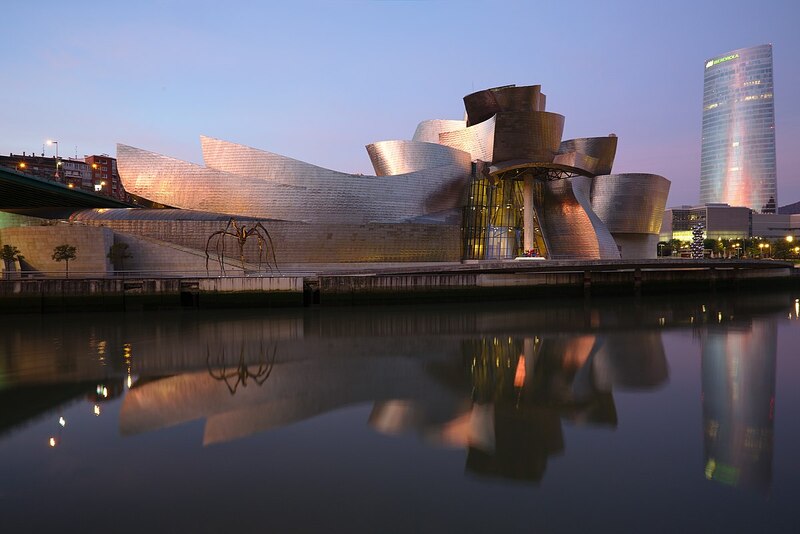 They are clad in shiny stainless steel tiles that you see on a lot of modern buildings – the Guggenheim in Bilbao also springs to mind. The steel tiles made me think of quilting, so whilst in the Visitors Centre I ordered some cotton batting – I just needed some silver fashion fabric and I was off. I had two weeks left to make it! The main part of the corset is a Victorian demi-bust pattern of mine that I had developed from one of the Symington sketches a few years ago. I took this and added a giant hip gusset from front to back that comprises three horizontal panels. A smaller version of the gusset, also made of three horizontal panels, formed the inner hip panel that is fitted to size and supports the bones. The inner layer is white coutil. I pad-stitched the batting to this within the seam allowances and then roll-pinned the fashion fabric to each panel. I assembled the main part of the corset first and then sewed in the larger of the hip domes. I then criss-crossed the corset with stitching to resemble tiling. Achieving symmetry on the second side was a challenging aspect of this design, as was the constant pulling of the fashion layer over the coutil as I sewed. It took much longer than I anticipated. The stitching lines weren’t planned - I just started sewing and let the curves happen organically. I had to hand-stitch the inner gusset and boning channels, as not only did I not want any more stitching lines, but it would have been difficult to get the thick 3D structure through my machine. There is wadding inbetween the inner and outer gussets and two horizontal bones at the upper and lower side of the large gusset to maintain a nice rounded shape. Ok but I wish I had started earlier and had my equipment (it's still on the way back from New Zealand)! I'm always in awe of your work, and this is no exception! Gorgeous corset, congratulations . Oooh I love the way the light plays on this! Especially at the hips where the angles change dramatically. Super cool, great work! My brain is seeing this in a different way than intended, but I rather like how it looks like the Sydney Opera House when it's flat on your table! This is really cool! I've always been a big fan of quilting, this has come out beautifully. I've enjoyed the little sneak peeks on patreon. Stunning in its entirety, well done. This is such a great interpretation of the theme, Caroline! Once again I'm amazed by your pattern drafting skills and I love the texture you have created with the quilting. Amazing work, I love the quilting and the flowing lines! The way you've managed to match up all those quilting lines so precisely has left me in a state of awe! This is amazing! Great concept. I love the flat photo, the hip pads stand right out and look just like the flood defense. Your boning is completely invisible. Very cleverly done. WOW, those hip fins!!! And I love how they stand while the corset lies "flat" ! Beautiful design, too! What a wonderful piece of pattern drafting, your work is always vey interestig. You have interpreted your inspiration very succesfully! What a gorgeous shape, absolutely love it. What a beautiful and creative design!! Loving the shape you managed to achieve with your clever patterning! Beautiful work!